Happy Wednesday everybody! 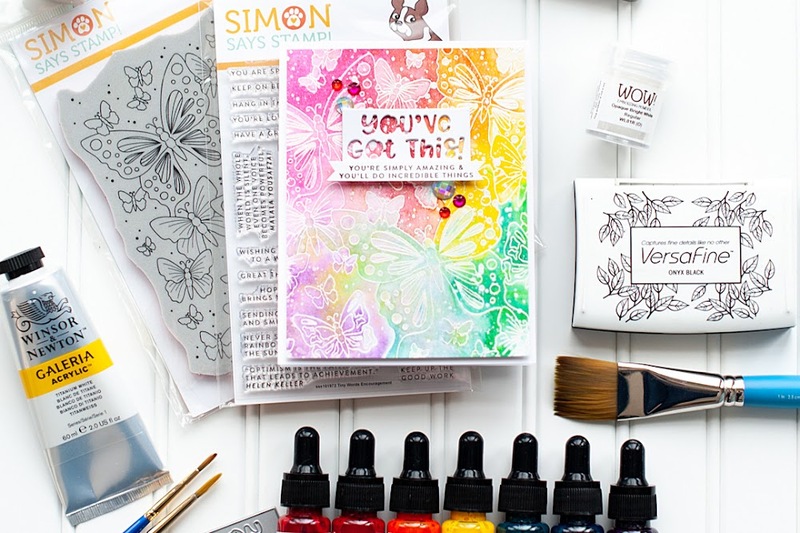 Well, by now you know that Wednesday on my blog means there is a brand new challenge at the Cuttlebug Challenge blog...and this Wednesday is no different. I really hope you enjoyed the Valerie Salmon sketch from last week! This week's "Be Inspired #21" challenge is to use Watercolor. Well- I thought long and hard about this one. I don't have any stamps that would work for the challenge, nor would I actually know how to use them if I did! :) I'm not very artsy...so doing real watercolor, or even drawing with watercolor pencils wasn't going to work out. But then I came upon these two sheets of Basic Grey "Porcelain" that I have, and I was instantly inspired for the challenge. I think they have a gorgeous watercolor look to them, and thus my card for the challenge was born! 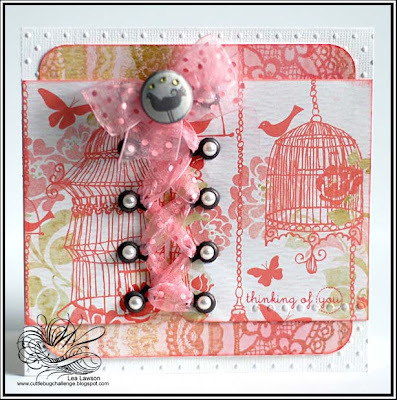 I used my Cuttlebug and the "Swiss Dots" embossing folder to dry emboss the background of the card. After that, I added a small dry embossed border to the bottom of the right side patterned paper using one of the "With Love" embossing borders. I think it helps bring out the sentiment! 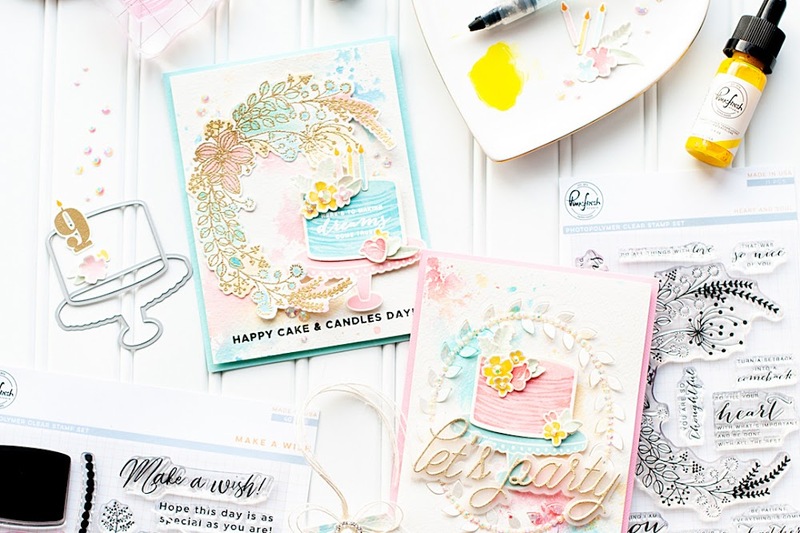 Be sure to hop on over to the blog and check out what the other gals have come up with!! And don't forget to link up if you take part in the challenge...we love to see what you do with it! Well, I am going to finish my glass of pomegranate blueberry juice, and be on with my day! PS- I posted some layouts on this last blog entry. I don't post layouts too often, so check them out if you have a chance! I would love to hear what you think! This is gorgeous Lea. You're right...it does lend a watercolor effect & I LOVE how you laced the ribbon. Oy Vey....you always do such spectacular work...WOWZA!!! What a beautiful card Lea! Love the colors. I struggled with the watercolors too, didn't have a clue what to do! And your layouts are great, oh I love that you scrap your puppies! I scrap mine like they are my kids, so I'm glad I'm not the only one:) And I have a glass cooktop and the scotch-brite cleaner is fab....I hate cleaning the cooktop but it has made it easier! I love your take on the theme!!! Amazing card. I couldn't agree more, those papers are so beautiful and totally remind me of watercolorig. Your card is just stunning!!! gorgeous & brilliant idea, (it was so new for me too....i feel ya) love your laced-up ribbon. your layouts are BEYOND, you are absolutely amazing, love the linear design, it's my favorite of all designs & you ROCK it! hugs & so much love my friend!!! ohhh, gorgeous, Lea!!! love it...love it! This is gorgeous Lea! LOVE the lacing and BG papers! Very pretty! !..Love how you used the ribbon! oh so pretty!! Love that ribbon! You are so clever and so right that the papers have a watercolour feel to them. Beautiful, that Basic Grey paper is really starting to grow on me. Your card is beautiful. I just bought this paper pack and can't wait to use it. Wowie, this is amazing! How totally cute is that little lace-up accent!!! this card is AMAZING! i love it! i need to get that paper after seeing what you have done with it!! This is gorgeous! I love the lacing! It's fabulous! 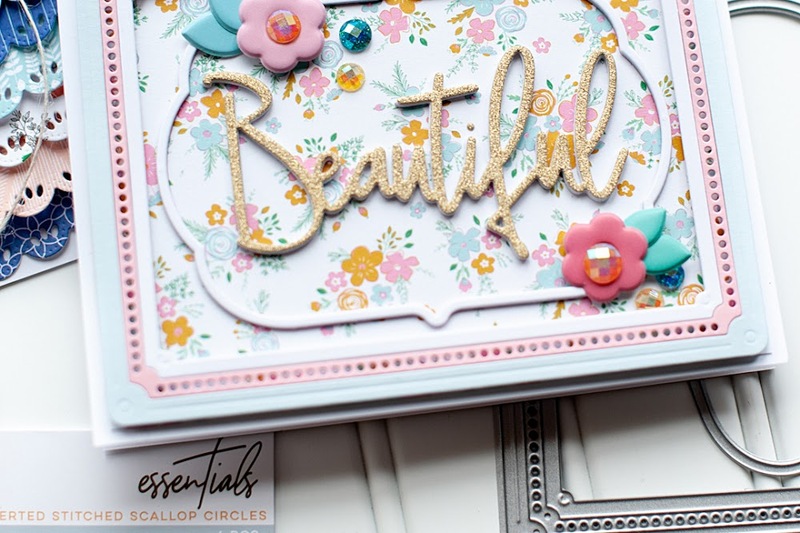 Be Inspired 24, CPS 108 & More! CPS 107 meets St. Patty's Day!